I am never one to turn down an champagne cocktail, but I must admit, I do find the classics to be a bit lackluster. 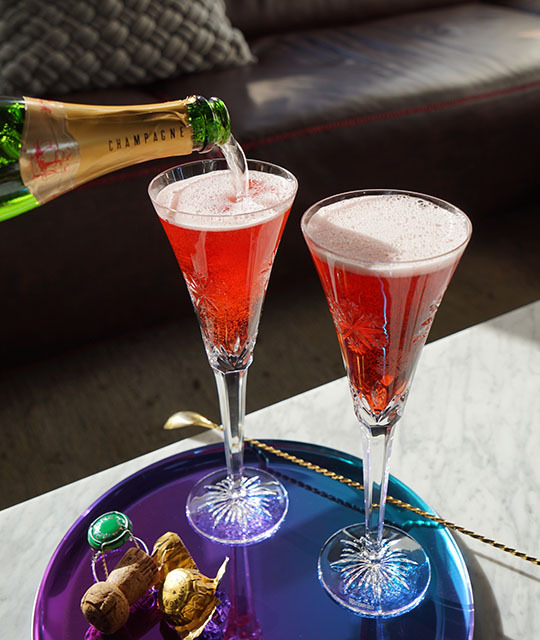 I enjoy champagne cocktails with a bit of oomph - a bit more flavor and a bit boozier than the traditional bitters and sugar number. 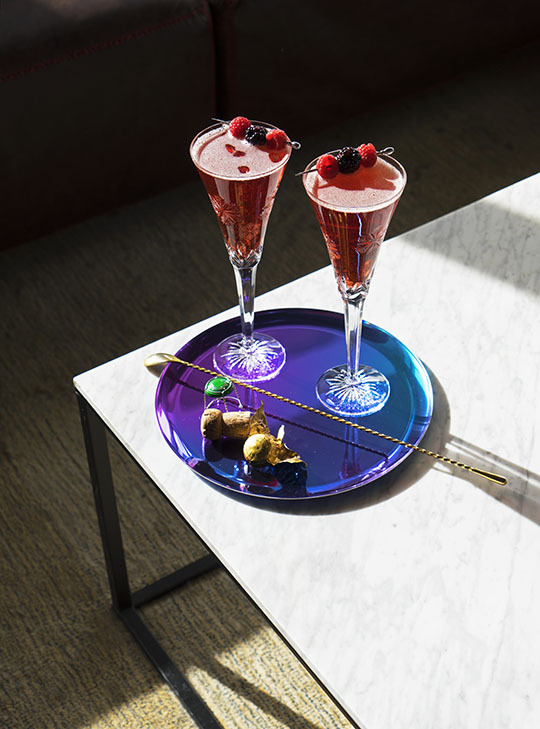 When I was creating this cocktail I knew I wanted to make a vibrant champagne cocktail, one that would be perfect for brunch or for cocktail hour alike. 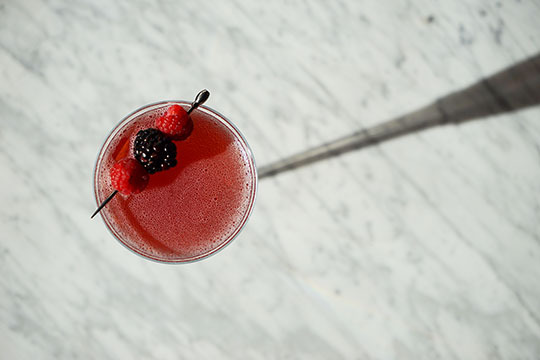 As I was brainstorming, I remembered a trick that my mother has done year after year - infusing cognac with berries that are in season in the summer. Around the holidays her boozy creations have reached maximum flavor - sweet and syrupy from the fruit - usually served as a digestif. 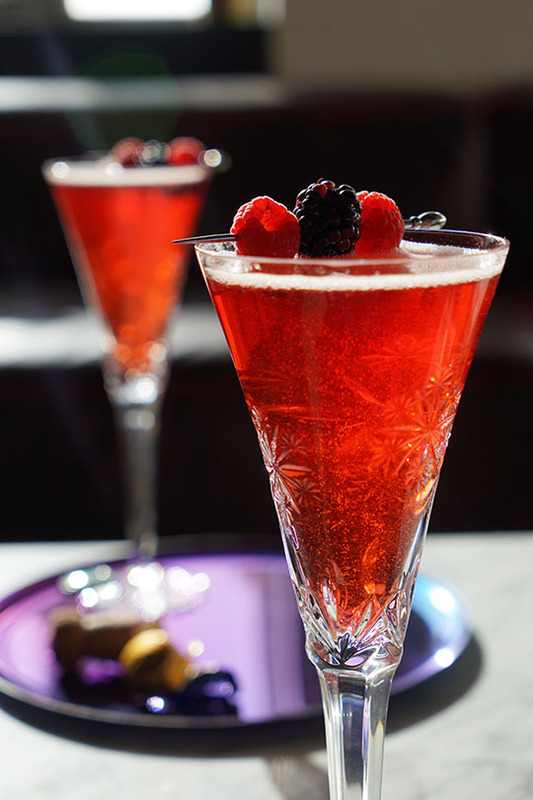 This year I was inspired by her to make my own homemade raspberry and blackberry infused cognac for this champagne cocktail, a perfect way to add flavor, sweetness, and fortitude to a cocktail. 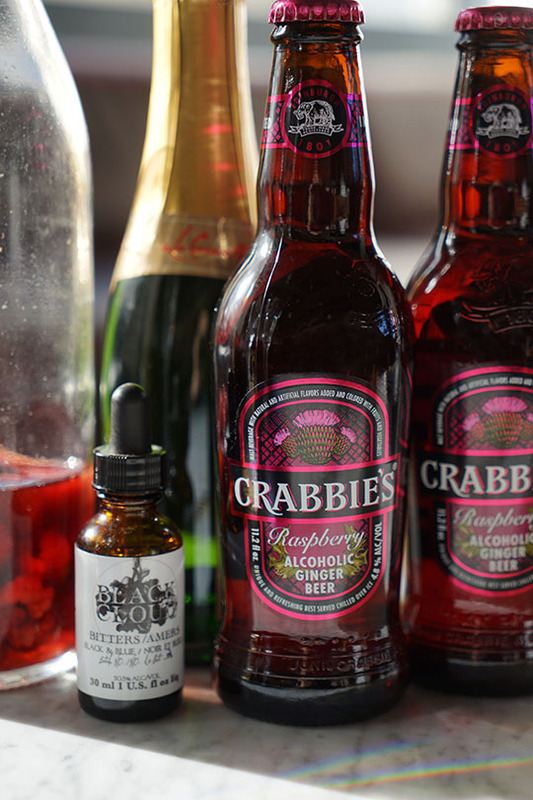 I also included a bit of Crabbie's Raspberry Alcoholic Ginger Beer to add a bit of spice to the cocktail. The ginger beer is made from fermented ginger and Scottish raspberries, a perfect compliment to my homemade raspberry infused cognac. I finished the cocktail off with a few drops of Black and Blue bitters made by Black Cloud Bitters, and a cocktail pick loaded with fresh fruit. 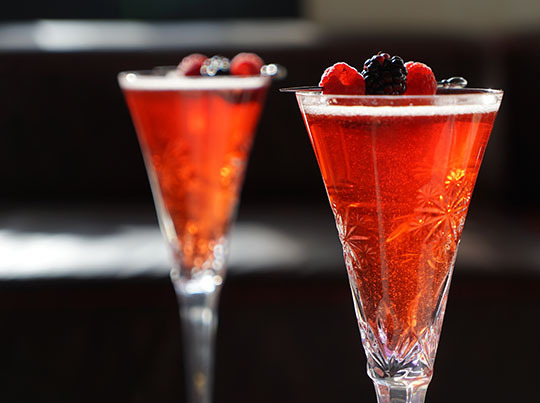 Build in a cocktail flute and serve fresh berries.